Premium-grade veneers and solid woods are fine finished with durability. Ideal for keeping desk supplies at hand but out of sight. Use with any desk, credenza or return/bridge. Combining veneer elegance with modular format versatility. Premium-grade veneers and solid woods are fine finished with durability suited to everyday commercial applications. Ideal for keeping desk supplies at hand but out of sight. 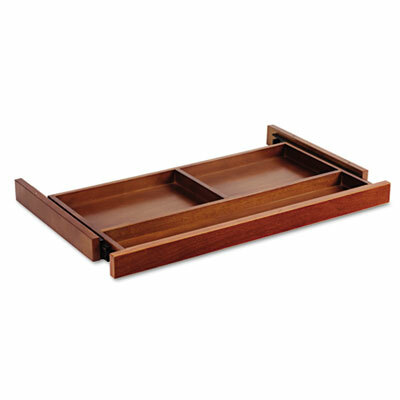 Use with any desk, credenza or return/bridge.